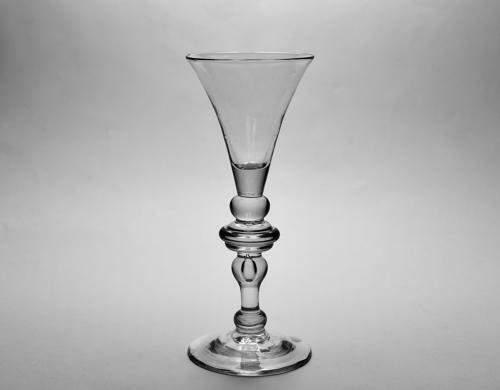 Fine tall baluster wine glass with annular knop and inverted baluster and plain conical foot. English C1730. Note: A very well made elegant baluster wine glass. For an identical glass see The Seaton Veitch Collection of Early English Drinking Glasses Delomosne & Son Ltd 2006 pl.10, e.